John Carter - Disney or Burroughs? Is the new movie a plagiarization of a classic work, or is it actually a good representation of the work that was a seed for modern sci-fi? 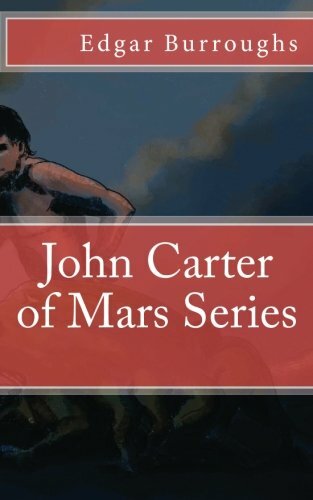 Growing up in a household that loved literature, the John Carter of Mars series was a favorite among me and my siblings. Several of them refuse flat out to watch the new Disney John Carter movie because of the gross misrepresentations of the story that are shown in even the 60 second spoilers, but why is that? The original works by Edgar Rice Burroughs have received a lot of critiquing through the years, mostly by women who feel insulted by the "weakness" portrayed by Deja Thoris. Disney made a point of removing the Victorian nods to femininity in their movie, but was that necessary? Disney also, and this I applaud because of its necessity, removed the cultural divisions of classes that Burroughs created with the use of skin color and accent. Whether reading Little Women and feeling the touches of the feminist movement or The Hunchback of Notre Dame and seeing from a historians view the superstitious, filthy state of Paris, novels are, in their own way, historically significant. 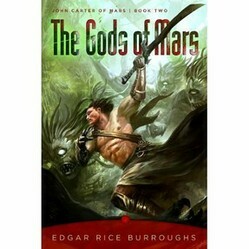 So John Carter of Mars is significant. The views of the newborn Theory of Evolution are scattered throughout it, and with it a man's view of the ideal personification of beauty. The books are written from the perspective of a Virginian Civil War Officer, so these mentalities are extremely evident in John Carter's narrative. That is, in itself, evidence of E.R. Burroughs ingenuity. The story is written with vivid descriptions that create a believable Mars setting. While science has undone the theories that primitive telescopes and a small understanding of gravity and relativity generated, and that were crucial to allowing the story to be written, these were the ideas and this was the imagination that allowed science fiction to become a world wide craze. The idea of life on another planet, and that mirroring our own small existence, is an idea that people cling to and long to prove. John Carter, the main character and narrator of the story is everything that every little boy ought to wish to be -- the defender of the weak with supernatural strength of body and character. He is unwavering in his resolve to do right and his arm is never weak when warring in the cause of the right. He battles his way through unfathomable odds while befriending every creature with the light of morality within it. Even the senseless slave dog, Woola, who is known to be brutal, becomes his faithful friends. His character shines through cultural bounds and wins the heart of the beautiful Princess of Mars, making this as much a fairy tale for girls as an action adventure for boys. Deja Thoris, as one of the secondary characters, is all that is beautiful, self-confident and feminine. While some scoff at this, many appreciate it. Were it not that she were clothed in nothing but "harnesses" she would be a role model that I would place on a pedestal next to Cinderella and Elizabeth Bennett for my little girls. She is a Princess and therefore acts in a way that is royal and proper and has a sense of pride that is rather fragile, but her courage keeps her head high and her dignity is maintained throughout the books. race, John Carter finds the traces of humanity within the people. He wins the affection of the slave woman who is placed over him and discovers that Tars Tarkas has known love and loyalty and pain, and through that knowledge he wins his friendship. The movie was cute. I won't deny it. I tried to shut out all of the vivid pictures that the books had created in my mind and enjoy it simply as a movie, but some things left that impossible. As well as it mocking the descriptions of the giant green men, the Therns and the very terrain of the planet that were so clear in the book, it was somewhat confusing and they tried to condense far too much of the story into one short movie. My husband, who had never read the books, thought that it was cute, but spent the entire movie asking me to clarify what on earth (or Mars) was going on. The flags of the opposing nations are not clear enough for the ship battles to be easy to interpret, the Barsoomian (That means martian) terminology is used freely, but never with definition. 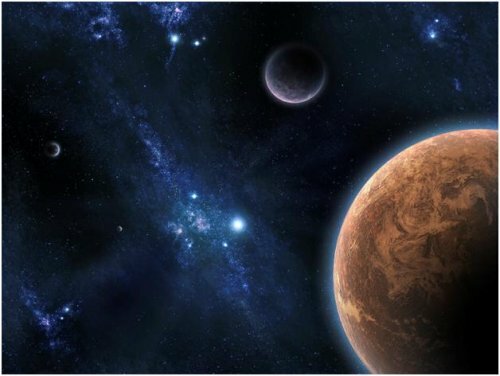 The terms "Thern,"(A priest) "Barsoom," (Mars) "Helium,"(The good guys) "Zodanga," (The bad guys) "Thark," (officer) and "Jeddack" (Chief) are used regularly, but the meaning is dependent entirely on the bits of context surrounding them. Deja Thoris was adorable, though a bit of a snooty brat who not only called John Carter a liar, but lied to him to force him into helping her. They managed to make her father was something of a bad guy by giving him the role of trying to force her into a bad marriage, rather than the books scenario of her being kidnapped and coerced into the marriage for the sake of her people. John Carter was also a bit to anti-war to be true to the books. In the books he was a warrior who never gave a second thought to raising a sword for the right cause, but half of the movie is Deja Thoris trying to trick him into fighting for her. All in all it was an innocent, humorous ride, but I do wish they hadn't made such a big deal out of building Edgar Rice Burroughs into it. It was only very loosely based on his work, and if you want the full ride, completely with incredible graphics and perfect acting, buy the books and let Edgar lead your imagination into worlds that far surpass anything Disney was able to portray.